The New Straight Talk Samsung R451C is a nice Slider phone. "Straight Talk" is a new company that is a joint project between Tracfone, Verizon and Walmart. 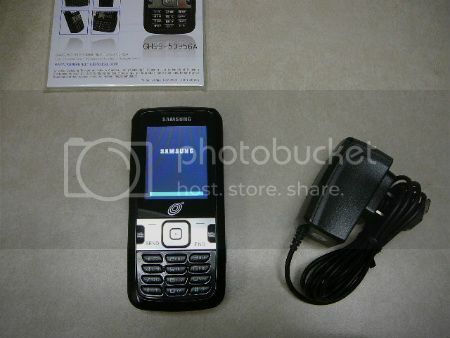 The New Straight Talk Samsung R451c has a lot of options for a prepaid phone. This is not your father's Tracfone. 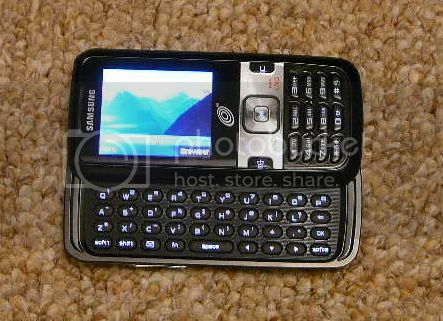 This is a fully usable MP3 music, 1.3 megapixel camera, Qwerty keyboard, slider phone. All You Need for $30 a month. 1000 minutes Talk and 1,000 messages Nationwide Plus 30 MB of data for only $30 a month basic All You Need plan. I have been playing with the 1.3 megapixel camera. It has a lot more functions than some cell phone cameras. You can have it take 3 rapid fire pictures, and you can adjust the focus and lighting. You can also change the size of the pictures. This is a nice little camera phone. It is also easy to transfer the pictures to your computer if you want. The SD mini card is protected inside the back cover. I think this is a good feature. You can take pictures with either the button on the front of the phone or the Camera button on the side. Buy the Straight Talk Samsung R451c at Straight Talk.com or at Walmart.